I’m lucky to have a neighbor with a garden, and it’s right around this time of year that she’s swimming in zucchini. Lucky for us, we get to share in her bounty…but the armfuls of zucchini can feel like a bit much, all at once. 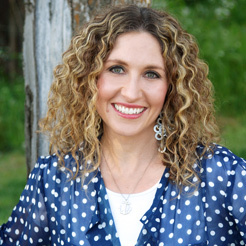 I’ve spent a lot of time trying to find different ways to serve it up for what seems like a couple weeks on end. When it’s zucchini harvest time, I feel like I’m adding zucchini to almost every meal I cook. This beloved vegetable is super versatile; it’s the key ingredient in dishes from savory pastas to crispy zucchini chips to desserts and muffins. 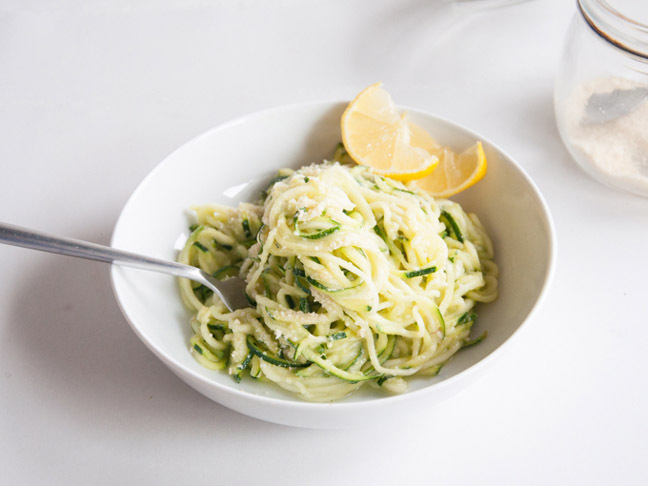 So get busy with these fifteen fresh zucchini recipes! 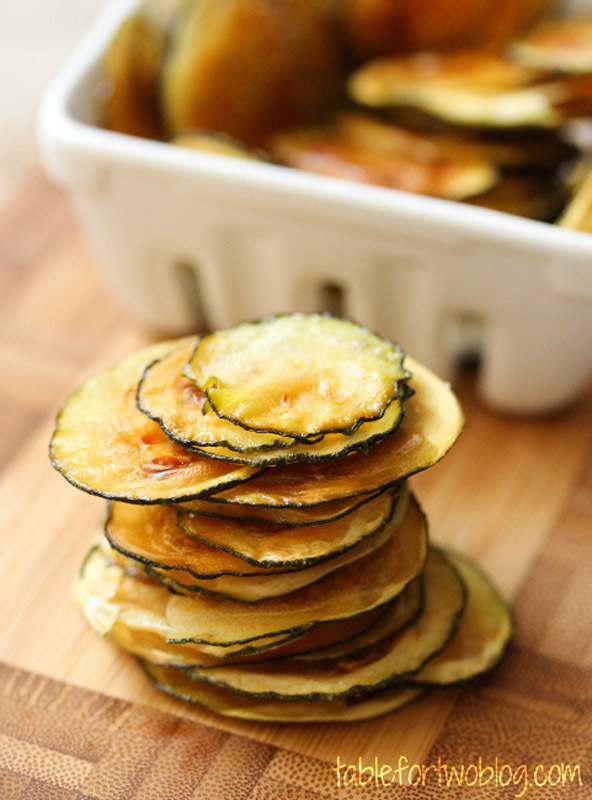 1.The zucchini chips from Table for Two are easy to make and thin, crispy, and irresistible! And they literally only have three ingredients. 2. 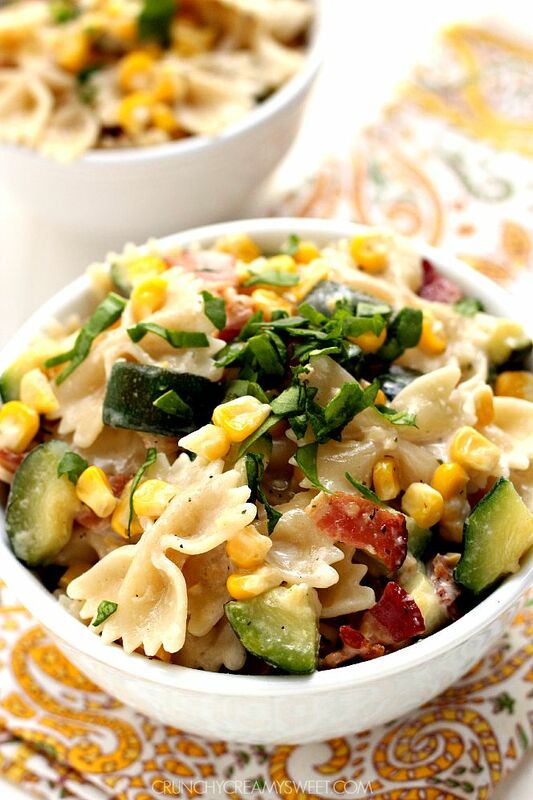 Sweet corn and zucchini pasta with bacon from Crunchy Creamy Sweet is a fifteen minute dinner idea including summer’s favorite veggie! 3. 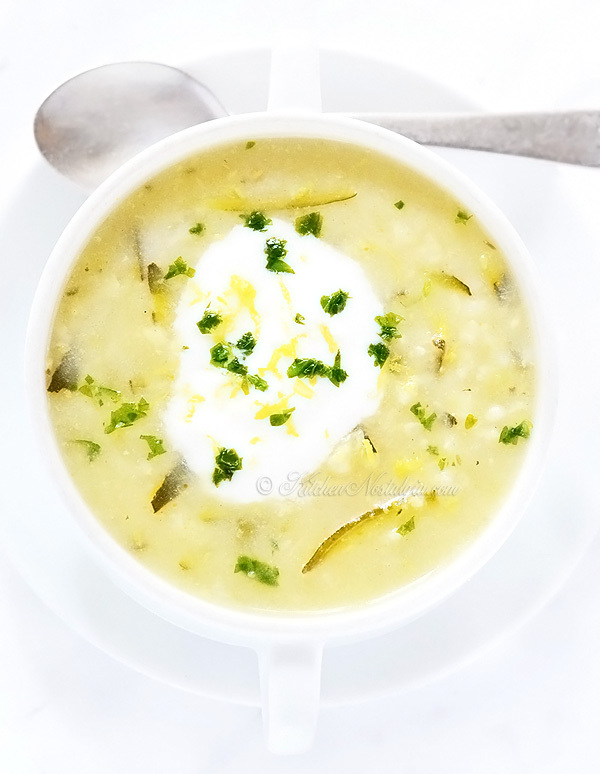 Zucchini rice soup from Kitchen Nostalgia is a creamy soup with grated zucchini and rice that’s cooked in chicken broth (or vegetable broth for vegans) and seasoned with salt, black pepper, lemon zest, lemon juice, and rosemary. 4. 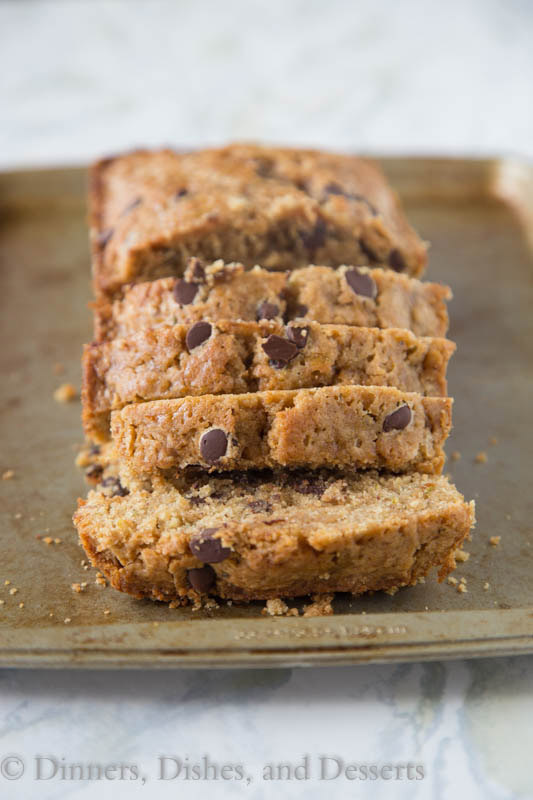 Whole wheat chocolate chip zucchini bread from Dinner, Dishes, and Desserts is a tender and moist zucchini bread made with whole wheat flour and lots of chocolate chips! 5. 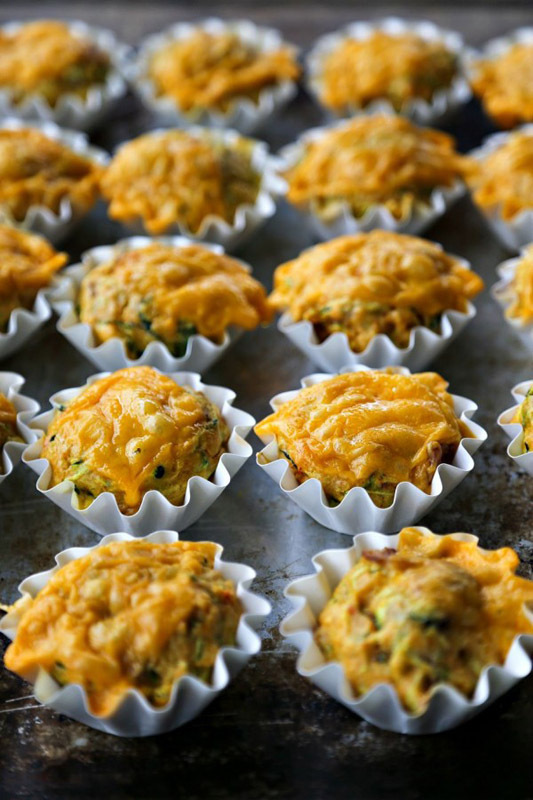 Spicy bacon cheddar zucchini breakfast muffins from Foodie with Family have crispy bacon, eggs, zucchini, and cheese. They bridge the gap between a quiche and a muffin. 6. This raw and vegan zucchini pasta with avocado sauce from Elephantastic Vegan takes just a handful of ingredients and is a healthy and delicious way to eat dinner in just minutes. 7. Zucchini coffee cake from Nutmeg Nanny is made a tad healthier with whole wheat flour and is a perfect excuse to eat cake for breakfast!